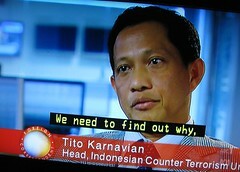 Inspector-General Tito Karnavian said that the special team will be charged with mapping the incidents and investigating each one so ensure that they are properly solved. The chief of police spent two days in the area with a number of officers and inspected the open pit mining (Grasberg) as well as the underground mines. He stressed the need for the incidents to be handled seriously. There have been a number of shootings in the Freeport area since 2009, but in most cases, the perpetrators have not been found. During the past three years, he said, there have been ‘hundreds’ of shooting incidents leading to the death of twenty people which has included members of the police force, members of the company’s internal security force as well as local people who are involved in traditional mining. Since the civil war broke out on June 2, 2012 in Timika,West Papua the number of victims among the indigenous people continues to grow. Freeport Indonesia Pty Ltd, the army, police and Government of Indonesia have not been able to resolve this insignificant dispute. They have allowed and indeed fostered this civil war. As a result, at the time of this report (5/10), scores of lives have been lost and many (people) wounded. According to monitoring, the majority of the victims were hit by arrows; however a number were also shot dead by Indonesian Police. Yet others have disappeared as the result of “lightning” (speedy) killings by certain criminal elements. The Government of Indonesia and Freeport have not been able to resolve the conflict; therefore the (local) people are demanding an international security force to protect their lives. The West Papua National Committee (KNPB) Mimika has been monitoring this situation, and has come to the conclusion that the civil war between clans has been allowed (to occur) by the Indonesian government and Freeport. The situation is trending towards genocide, and the Indonesian authorities – with the American corporation which is established on the Amungsa land – are deliberately permitting genocide in Timika, West Papua. 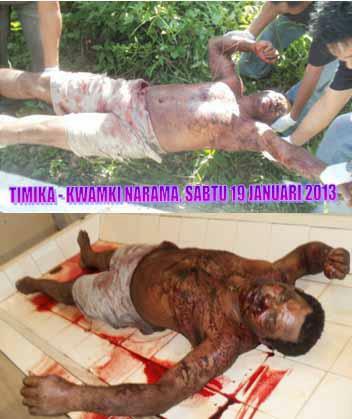 The civil war began from a misunderstanding which occurred since May 20, 2012 in Timika, Papua. In the beginning an incident occurred between Ronny Ongomang and Aroki Komangal. (Ronny Onggomang was the son of Hosea Onggomang and Aroki Komangal was the son of Atimus Komangal). At 4.00 p.m. Aroki called Ronny at his house and invited him to go for an evening ride, and .took the streets in the afternoon. The two went out, each using his own motorcycle heading along Old Freeport Street, next to Timika Airport. They sat down and began drinking (liquor). Not long after that, a youth named Oni Kerembo who had just finished bathing at the side of Old Freeport Street was starting up his motor cycle, was suddenly hit by Ronny Ongomang who was crossing the road with his friend Mickieto while giving a ride on the back of his bike at high speed, despite being affected by alcohol. After the collision with Oni, Ronny could still stand, and panicking, mounted his motorcycle and sped off about 1 kilometre, stopping at the side of a ditch by the road. According to police information, Ronny fell (from his bike) there and died suddenly (from his injuries). At the same time Oni Kerembo suffered broken bones and was rushed to Mitara Community Hospital RSMM Karitas for treatment. The following day (21 May 2012), around 8.00 a.m, a citizen discovered the body of Ronny Onggomang in the ditch at the side of the road where he had fallen. The citizen immediately contacted the police, Polantas (traffic) section, and the body was removed to the District of Mimika General Hospital (RSUD Mimika). His parents were notified and identified Ronny Onggomang’s body at RSUD. On 22 May 2012, his body was buried at the house of his father Hosea Ongomang at Kwamki Narama, Mimika. On 24-26 May 2012 in Mimika, the victim’s family together with police from Polantas carried out an investigation into Ronny’s death. The police from Polantas said that it was clearly an accident, but the victim’s family did not accept this because there were no signs of scratches or lacerations on the body. On 29 May 2012, the family of the victim (who) were making accusations everywhere, invited all the elders (including) the father of Aroki Komangal to go at once to the Police, Polantas Section and request clear information on the case. Polantas stated that from their viewpoint it was clearly an accident and there was no perpetrator. However the family of the victim were not satisfied with the police explanation. As a result of this dissatisfaction the family accused Aroki Komangal as the murderer without evidence. Atimus Komangal and Benyamin Kiwak head of the large Damal clan apologised to the victim’s family but they rejected the apology from the side of the accused, and they wanted to “seek proof in the field” with a traditional physical confrontation or war between the clans, according to traditional custom. In this small case the police let things be and did not complete the handling of the matter in order that a civil war did not occur. But (by failing to intervene with conflict resolution before violence broke out) it was as if the police provided an opportunity for this war to happen in Timika. On 2 June 2012 in Mimika Papua, a civil war broke out, The clan of Hosea Ongomang fought against the clan of Atimus Komangal. Finally there was a victim on the Hosea Ongomang side, identified as Deminus Ongomang. At 09.00 a.m. local time, all the police who were serving in the war area left that war area in shame. All members of community organisations, church groups NGOs and elders regard the Indonesian government army and police (TNI/POLRI) as being incapable, and have failed totally to calm the civil war in Timika. To the present moment the war is continuing. The Indonesian police have not yet succeeded in calming the civil war. In fact the police are just busy providing security for Freeport Indonesia. They carry out arrests of KNPB activists in the streets. This war which has been encouraged prevents the people from engaging in (peaceful and legitimate free expression) activism. The citizens are afraid to oppose the arbitrary activities of the police. 1. Roni Onggomang (16), died in ditch at side of the road, after motorcycle collision with Oni Kerombo . 2. Deminus Onggomang (30). Killed by an arrow, fired mistakenly by one of his friends. 3. Dominus Ongomang (32) shot dead by police officer in Mimika. Perpetrator: Brimob AKBP Denny Siregar S.IK of Batak descent. 4. Doni Onggomang (28). Shot dead by police. Doni had just seen his older brother Dominus shot by Kapolres (Police). Doni was angry and wanted to attack the Kapolres but he was also shot, by Adjutant Kapolres Abram, native of Jayapura. 5. 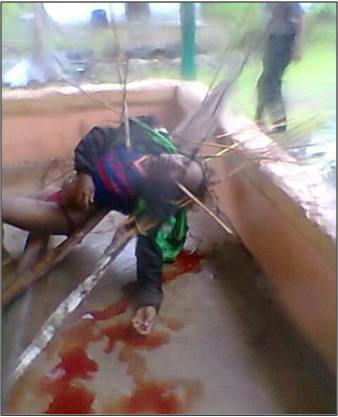 Antelius Ongomang (24), Killed by arrow. 6. Aroki Tabuni (29). Killed by an arrow. 8. Ibu (Mrs) Medina Wenda (24). Killed by an arrow in a plantation outside the battlefield. 9. Seki Tabuni (36). Killed by an arrow. 10. Kamoro Tabuni (30). Killed by an arrow. 11. Herry Tabuni (25). Chased and killed in the street. 2. Yanuarius Misimbo, killed in a plantation. 3. Nike Misimbo (10). killed in a plantation. 4. Ince Komangal (15). killed in a car. 5. Eterikus Beanal. Killed in a car. 7. Frans Beanal, (30). Disappeared, abducted by person unknown. 8. Pdt. (Reverend) Barnabas Komangal (57). Killed in family fight. 9. People seriously wounded; 12 men and 2 women, names not yet known. 10. Filemon Hagabal, (35). seriously wounded by an arrow. 11. Head of the Dama clan, Victim of bashing carried out by member of the police force, is now left with paralysis in his left leg and has broken ribs. At present still in detention in Polres Mimika Mil 32. 12. Other victims outside the warring clans, Bapak Tom Yarangga (45 years), Yaranggawas burned in a car (fire) carried out by a specially trained group. (Kelompok yang di lati Khusus? ), up to now the murderer has not been identified by the police. Bapak Nasyum killed by a specially trained person. To date police have not identified the murderer. WELLINGTON (Radio NZ International / Pacific Media Watch): Human rights breaches have prompted the New Zealand Superannuation Fund to end its investment in the huge Freeport McMoRan copper and gold mine in Indonesia’s West Papua region. Until now, the fund, of just over US$15 billion, has had just over a US$1 million directly invested in the Grasberg mine, and had rejected calls that this was an inappropriate investment of public money. But the manager for responsible investment, Ann-Maree O’Connor says the fund has become concerned at a recurrence of security issues at the mine and she says human rights breaches are a key factor. – The New Zealand Superannunation Fund’s manager for responsible investment, Ann-Maree O’Connor. The NZ Green Party co-leader, Russel Norman said this was a very positive development. Dr Russel Norman said it was “great” that the Super Fund was taking a stronger ethical stance. PMW editor: The NZ Superannuation Fund’s involvement in the controversial Freeport mine was challenged in a major investigative article in Metro magazine last December. The article, written by AUT communication studies student and photojournalist Karen Abplanalp, featured a long-running strike at the mine and the shooting of miners in “suspicious circumstances”. 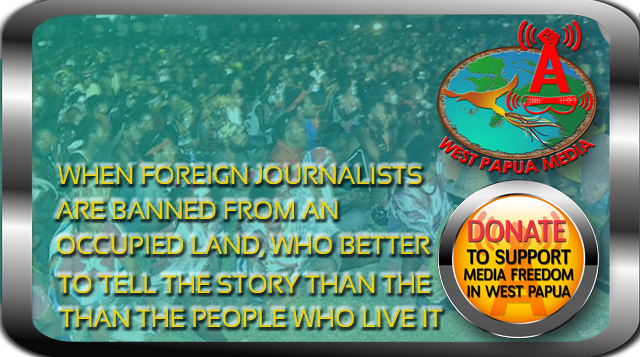 The allegations were widely reported by Pacific Media Watch.